Thinking about going to Burning Man this year? If so, NOW is the time to register for a free Burner Profile (https://profiles.burningman.com) in order to participate in the Individual ticket sale. Having a Profile setup isn’t a guarantee you’ll get a ticket, but it is a pre-requirement. If you’re thinking of buying a ticket, you’ll want to head straight over to the Burning Man Ticketing page now: http://tickets.burningman.org and read carefully the details, rules and deadlines. The Healing Foot Wash camp this year has a vital core of folks who love and practice Christian Science, and it welcomes people of any faith who would love joining in this joyous service. If you’d like to learn more please visit http://healingfootwash.org. If you’d like info about the ongoing “CS@Burning Man” efforts, please visit their Facebook page. Final preparations for our trip [Photos] – Leaving this Friday / Saturday for Burning Man 2014! We had a great work party last weekend with participants coming by the Berkeley CSO on both Saturday and Sunday. Our packing and organization is much better this year. 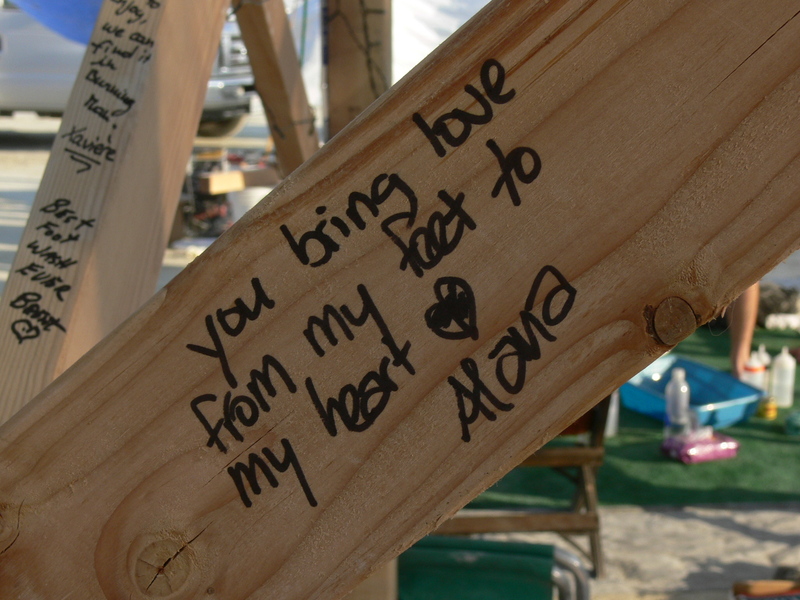 A big THANK YOU of gratitude to all who have helped us get to Burning Man this year. Yep, we have all the pieces! Yes, we have ze zip ties… and also ze books! Amanda is happy to be joining this year! Photos by Gabriel and Mist-er. 1 Center Camp where you can purchase ice, coffee and hot cocoa; ice is also available at two other locations; no other commerce is allowed, period. 1,000s of theme camps – from Aloha Camp (island vibes, Aloha spirit and Hawaiian culture) to ZAP! (a giant lightning bolt striking the playa). 1/2 of needed funds have been raised – every donation counts! Our participants have purchased their own $380 tickets, and paid for travel and food. However, we have lecture**, truck rental and a some miscellaneous expense to cover. Thank you for joining us in spirit through your prayers and donations. It is never too late, nor too little. This camp belongs to everyone who wants to share their love of Christian Science with the world. We appreciate your support and promise to share our experiences with you when we return! The following is a slightly edited email sent by Loren, aka “Mist-er”, one of the newest members of the group — a Burning Man veteran, who has been learning more about our specific approach to going to Burning Man. Our group is deeply focused on service we provide to others at Burning Man (praying, sharing, washing feet, supporting 3 talks by Christian Science lecturer John Tyler, CSB). This new member has been eager to share additional Burning Man volunteer opportunities with our group, which we are indeed happy to learn about. His email below gives a neat perspective on some of the different types of camps people can participate in at Burning Man, and how ours is a little different from many. I think I finally “get it”. 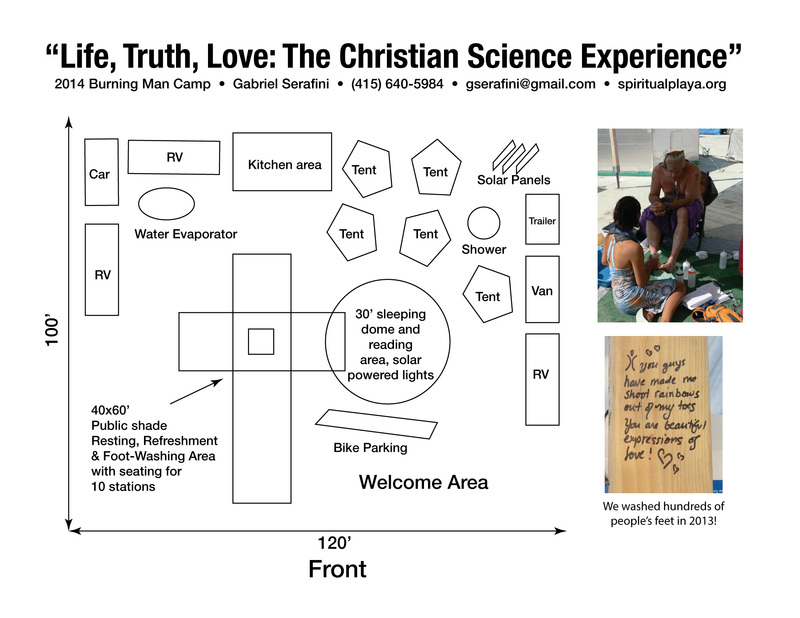 The Christian Science at Burning Man Camp is a relatively small camp of 10-20 campers on the Playa plus about the same number of support persons off Playa (plus God). Previously I camped with much larger camps, first with an arguably plug and play camp run by a for profit bus company based in San Francisco. They are approx $900 base price (extra luggage and bike transport extra) plus ticket (ticket cost is additional) with tent camping and no showers. The bus company has been going there for 20+ years so are “grandfathered” in with the Burning Man organization. There is not much affinity between camp members. Members are those from farther away in the US and Canada, and also Europe and Asia, who want the logistics set up for them. Food and liquor are provided, and one of my personal objections was that I was paying for liquor with no option to opt out (maybe I paid involuntarily $100 extra for the booze???). The next year I camped with a moderate size theme camp of people committed to providing an alcohol-free atmosphere. Going by bus especially the first year of Burner Express with (at the time, now modified somewhat) severe luggage and bike restrictions presented challenges around food and water which I choose to not repeat with them this year. (They are less communal in terms of sleeping, food and water, for them it is just reserve a space, bring in your own stuff, food and water, pack your own stuff out, which did not work for me as a bus rider well). This year, my camp at BM is CS at BM, with a smaller group which needs to focus on its own internal infrastructure first with the motivations of getting an “in” with Center Camp or The BORG a lower priority. Now that I “get it” I will try to keep my discourse in the CS and BM camp list emails and on the calls focused on our camp infrastructure rather than side track folks on other arguably desirable but not essential stuff. Notwithstanding this, I will still make a brief discussion of opportunities for volunteering at Center Camp on the next conference call. We’re very grateful to have Loren as the newest member of our group! Loren (Playa name Mist-er) has been attending Burning Man since 2012. He lives near San Francisco and is a recent graduate of San Francisco State University. At Burning Man, he volunteers at the Center Camp Coffee Shop. This year, 2014, will be his first year at Healing Foot Wash Life Truth Love Camp. 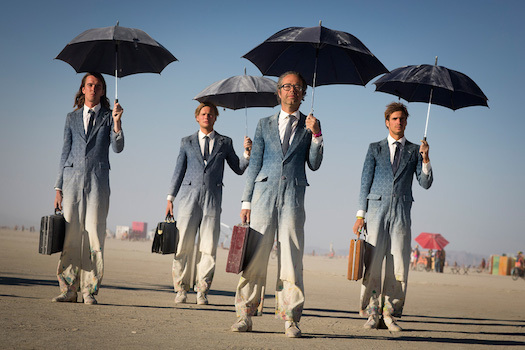 STEP program for Burning Man tickets now open… also progress on our Placement application! First of all, if you’re thinking of joining us at Burning Man this year, you’ll need a ticket. To get this ticket (if you don’t already have one) you’ll need to register for a Burning Man profile and then click the button that says sign up for the STEP program. This will put you in a queue to purchase tickets when other people put them up for sale. That’s it for now! We’re still looking for a few more tickets for our core team so if you happen to have an extra or two, please let us know. In other news, we’ve made some good progress on our application for Placement (i.e. a reserved space) for our camp at Burning Man. Specifically, we’ve completed the first draft of our camp layout diagram (a required part of the submission.) What do you think? We had a really productive call tonight. Thanks to all who were able to participate!!! Please review the notes below and if you are a Team Coordinator (marked with a * in the list below) please work with your fellow team-mates in the next 3 weeks to be able to present the Deliverables (listed below) we all agreed on tonight. 2) Team develops (very) rough draft of an estimated budget. Amanda will communicate with the Team Coordinators about the specific info needed. This is due via email to Amanda by Wed 3/19 so she can present an initial draft of the overall budget needs (useful for our future fund-raising). 3) Each team roughs out major timelines / deadlines and top-level items. 4) Team Coordinator prepares brief report (~5 min) to share with the group at our next call on 3/23 at 6pm PST. Note: If you decide / realize you cannot make your commitments, please just communicate this to either your Team Coordinator or to me directly, and we’ll make adjustments as necessary. Life happens, and this is O.K., but it will be very helpful to have the heads-up so we can cover all the necessary bases. Here is the list of confirmed (and potential) camp participants along with which team(s) they’ve currently signed up for. If this information needs correcting / updating, please feel free to make changes. We’ll keep this up to date, and if you’re on the core team you should be able to make edits. If you’re on the info list you should be able to view it but not make edits. Sunday 3/23 at 6pm — Please add this to your calendar! 45 minutes – ~5 minute sharing from each Team Coordinator with high-level overview of where they’re at, if they need assistance with any specific things etc. THANKS AGAIN everyone for participating, this is truly what makes this camp a reality! If you have any questions, feel free to reply or call. We had a productive conversation last night. As a group, we discussed what our mission statement for 2014 should be and agreed on a slightly edited version of what Anna Lisa had sent in. Here is what we agreed on, based on feedback from everyone on the call. Our mission is to actively share God’s love for man in Black Rock City. We can further tweak / modify these if there is a good reason to do so, but otherwise this is what we’re going with. This is a NECESSARY step in order to PURCHASE a ticket to Burning Man. AFTER you have registered for an individual Burning Man Profile, you next need to PRE-REGISTER to purchase one or two ticket(s). The cost per ticket is $380, the same as last year. Here is where you go to PRE-REGISTER, between Thursday Feb 20 and Sunday Feb 23: https://tickets.burningman.com — PUT THIS ON YOUR CALENDAR NOW! Thirdly, after you have your personal Profile account setup, and have Pre-Registered, on Wednesday, February 26 at 12pm (noon) PST, you can then visit https://tickets.burningman.com to purchase your ticket(s). If you are able to, please purchase 2 tickets. There is a sell-back program if we don’t end up needing all the tickets, but most likely not everyone will be able to purchase tickets. Please be as prompt / on-time as you can be to buy the tickets, there are not a ton available, and last year they sold out pretty quickly (not everyone who tried was able to buy tickets). In addition, we need at least 4 people to purchase a Vehicle Pass as well. The additional cost for this will be $40 per pass. These can also be re-sold, so if everyone who is able to purchase a ticket can also try for a vehicle pass as well that would be great. Put it on your calendar, Burning Man is only 6 months and 6 days away! Your participation in this step is very important to the success of our camp this year! In no way can we guarantee a ticket for anyone who did not actually purchase it themselves, so this is the best way to ensure you have a ticket to Burning Man this year. Our next call is scheduled for March 2 at 6PM PST. We’ll be discussing candidates for our lecturer this year, how many tickets we all managed to purchase, and group together for specific teams / tasks that need to be accomplished. Please add this to your calendar as well since you won’t want to miss it! Looking forward to meeting some of you for the first time on the phone today! P.S. If you cannot make today’s call, there is another one proposed for Thursday, February 6 2014 at 6pm PDT for those who cannot make today’s call.